What if you could add a little more to your trampoline and make it even more enjoyable? There are trampoline accessories available that increase safety, keep your trampoline around for many years to come, or simply to help you enjoy the fun of bouncing just a little bit more. Most accessories work on a variety of trampolines. Others work on only certain sizes. Either way, if it helps you and your kids get up and spend time together outside of the house, it could be worth the investment. After all, you have already invested in one of the best trampolines. As seen in one of our Skywalker Trampoline reviews, a customer complaint was that high winds picked their trampoline up and tossed it into their neighbors lawn. Not only is this extremely dangerous, but the result was the trampoline being destroyed. The best thing you can do to prevent this from happening is staking down your trampoline. For all of those that own a Skywalker Trampoline, this is the perfect trampoline accessory kit. If you prefer just the stakes you can check them out here. Pure Fun Trampolines has their own anchoring system as well. The Pure Fun Anchoring system can be viewed here. 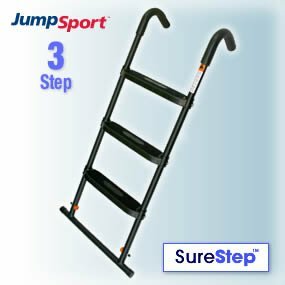 If climbing up onto your trampoline is difficult for you and your children, the JumpSport SureStep could be the key to making your life a little less complicated. It is also a lot safer than using a block or some other step up to get onto your trampoline mat. It is also much easier than building a platform that must stay in the location that you build it. This ladder easily attaches to the JumpSport DoubleBed, DoubleBed PowerBounce, as well as other 10x17ft trampolines. It is built to last with its sturdy, UV resistant design. Each of the three steps are large platform style steps which are powder-coated. When the trampoline is not in use, you can easily remove the ladder to limit access to people getting on when you are not home. More on the ladder here. If your trampoline is showing its age, it may not be as bouncy as it once was. You should consider getting new springs for your trampoline as soon as you notice missing, bent, or broken springs. It is the only way to ensure that your trampoline stays safe and extra bouncy. Simply take out the damaged spring if it is there, or if you have a missing spring pull off one of the remaining ones and measure them. Measure from hook to hook. Spring replacements can be purchased in a variety of spring sizes. They are available from 3.5” to 8.5”. 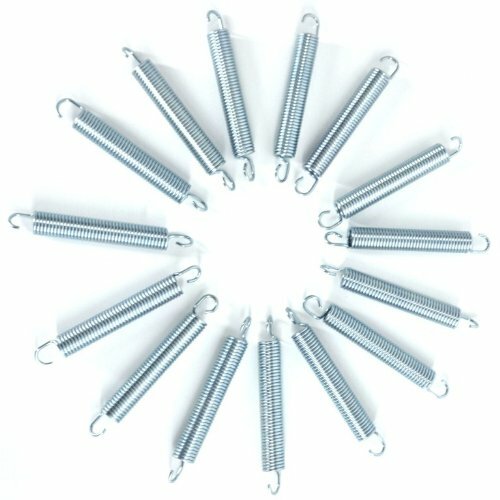 You can get 15 springs with one set and the heavy duty galvanized springs have a warranty for up to 1 year. As long as you measure correctly, they will work for any trampoline. 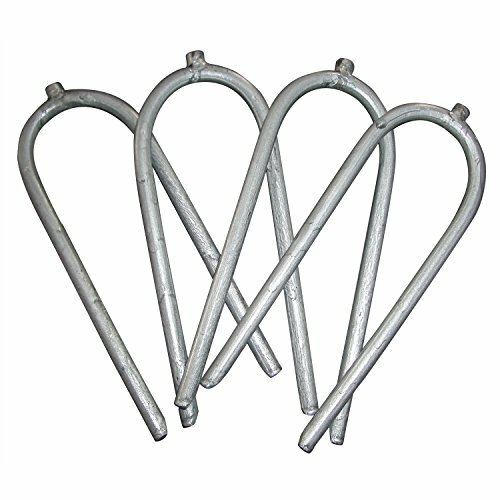 Just remember, a T-Hook will make installation easier. Admit it. When Old Man Winter is upon you, your trampoline may feel a little unloved because you spend less time outside bouncing your way to happiness. This is where a trampoline cover could come in handy. It will show your trampoline that you still care, even if you are not jumping on it. It will protect it from the harsh elements of wintertime and keep your mat in great shape for much longer. The bonus of this cover though is that you can put it on without removing your JumpSport safety enclosure. You simply attach the bungee hooks to the trampoline. It will even work during the summer to provide extra protection against heat and UV rays and keep debris from falling leaves off your trampoline during the fall. The cover is made with heavy duty PVC coated polyester and works with 14 foot round trampolines. With this trampoline accessory, you can add even more fun to your Skywalker Trampoline (or other trampolines with enclosures) and perhaps you could also figure out a way to challenge yourself when you play it. With this sports arena, you get two game attachments, a scorekeeper, and 9 bean bags. One game is the bull’s eye, which encourages kids to practice their accurate pitch and all you need to play is one of the bean bags or a ball that you can throw at the target. The triple toss encourages accurate aim because you will throw bean bags at various holes and each hole is worth a different point value, which also makes it great for toss competitions in families who enjoy trying to win. This sports arena set will attach easily to any trampoline that has poles, which are 54 to 94 inches apart. They are made with heavy duty UV protected material and a 90 day limited warranty. This is another way to encourage trampoline exercise without the kids even realizing it! You can make your trampoline a little more challenging or use it to practice your snowboarding or wakeboarding with this bounce board. It is lightweight and created only with materials that are safe for your trampoline mat. It is made with flexible, but strong, foam that has rounded edges to protect your mat. It has slip resistant fabric on the bottom to ensure your safety. 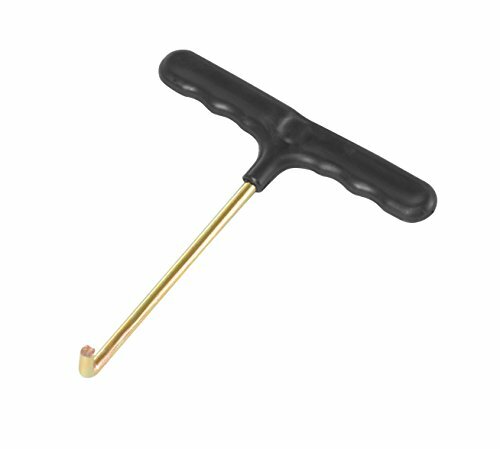 To put it on your foot, simply use the foot straps which are made of heavy duty hook and loop Velcro. 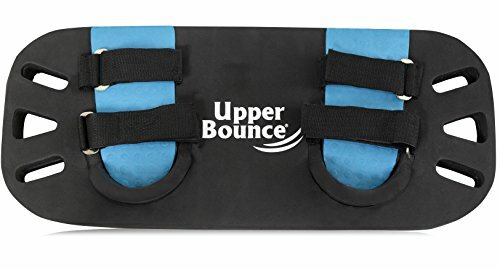 It is a great invention for anyone who wants to show off their extreme bouncing skills by doing trick jumps and it is usable on any size or style trampoline. That area under your trampoline is often wasted space. You cannot use it to store stuff, you cannot walk or play under it; it is simply an area of your yard that your trampoline sits. Until now. 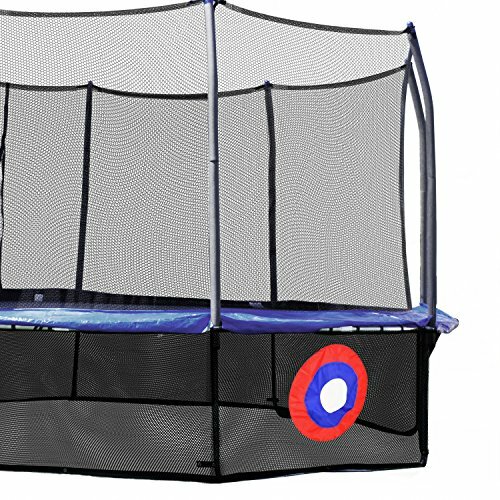 The lower trampoline net enclosure by Skywalker is an easy way to turn the underside of your trampoline into a space that is also usable and perhaps a little more fun. 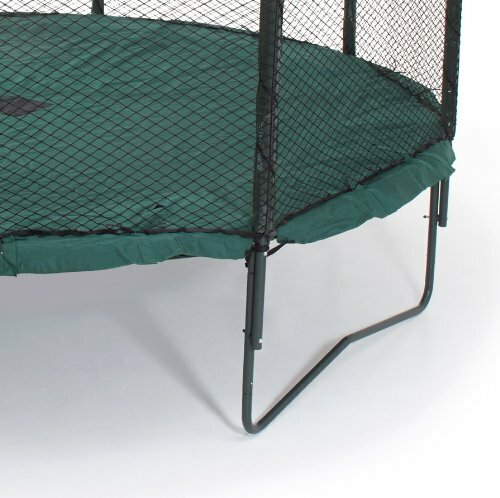 It is designed to fit most trampolines that are between 12ft and 15ft diameter. It has a bull’s eye game for people who are waiting for their turn to jump, and turns your trampolines underside into a great place to store shoes. It has a storage pocket for you to put all loose items before you jump and for once, you will not have to worry about your dog dragging your shoes off. Need a comfy place to sit when you’re not jumping? Bungee Chairs are a great trampoline accessory!